Instagram’s most recent update has included the launch of a private picture messaging system that is being referred to as Instagram Direct. The service allows Instagram users to send each other private messages that can include photos or videos; this contrasts Instagram’s previous features, which only allowed the public posting of photos and videos to a user’s profile. Instagram Direct allows for special messages and private photos to be sent to up to 15 people at once. It was truly no surprise that Instagram launched Instagram Direct this month, as there had been rumors regarding a direct messaging service for quite some time. It seemed like the obvious step that Instagram needed to take to become a more effective social network. Facebook, the parent company of Instagram, tried out a postcard service last year that would allow users to send paper prints of photos to their friends; the service never generated much interest and was quickly shut down. Physical printing and sharing was not what users wanted; they were simply looking for private messaging. Though it was generally agreed upon that Instagram needed Instagram Direct in order to further evolve, responses to the new service have been lukewarm. One of the primary issues with Instagram Direct is that it does not do very much to separate itself from competing social networks and messaging apps such as the features available through Snapchat and Twitter. Considering Facebook tried and failed to purchase Snapchat earlier this year, their foray into private picture messaging is going to inevitably be compared to Snapchat and Instagram Direct needs to do a little bit more to separate itself from the herd. 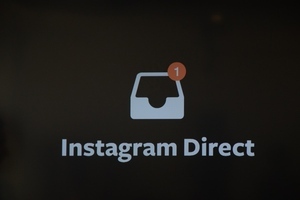 It has been stressed, however, that the feature is currently in its earliest stages, so it remains to be seen if there will be new features revealed that may allow Instagram Direct to make a name for itself. Advertising is truly what generates the money for social networks and they are always trying to find new and innovative ways to advertise to their users. Since so many people use social networks in this day and age, brands are always striving to advertise to them and cater to potential customers based on their interests. 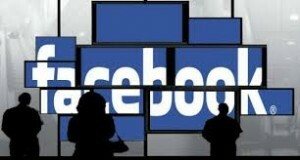 Facebook’s most recent addition to their advertising repertoire comes in the form of auto-playing video advertisements. The video advertisements are intended to not be entirely distracting from the social network itself. The videos will play automatically without sound within the News Feed, but if they are clicked on, they will extend to full screen and sound will begin to play. When the video is finished, the same advertiser will also offer two additional videos that can be potentially viewed by the Facebook user if they are interested in whatever is being advertised. Interestingly, this method of advertisement may challenge marketers to take a new approach when it comes to finding new ways to make potential customers interested in their products. Because the video ads are not particularly intrusive, are soundless to begin with, and can be easily scrolled past, advertisers will need to find catchy ways to intrigue the interest of Facebook users without using sound in the short period of time that it will take for someone on Facebook to scroll past the ad. Though the Facebook video advertisements have already been launched this week, they are still in the testing phases. They will initially only appear for some Facebook users, before they are gradually rolled out to the entirety of the social network’s user base. Facebook’s stock has already seen a 2% increase, based on the belief that these video advertisements will continue to boost the company’s revenue. YouTube is one of the biggest websites on the planet. In fact, in terms of page views in the United States, the website is second only to Google, narrowly beating out major websites like Facebook, Yahoo!, and Amazon. However, the Internet is a volatile realm where updates are constantly required in order to keep websites current, as evidenced by YouTube’s recent attempts to delve into features that are typically associated with popular social networks. Back in August, YouTube decided to launch MixBit, their attempt at a direct competition with instant video sharing apps like Facebook’s Instagram service and Twitter’s Vine mobile app, though MixBit is a little bit different than these services. The way MixBit stands out on its own is by allowing all MixBit videos to be used for editing, splicing, and mixing with other videos. Though MixBit videos can only be 16 seconds in length, they can be edited together into a larger video that’s up to an hour long. 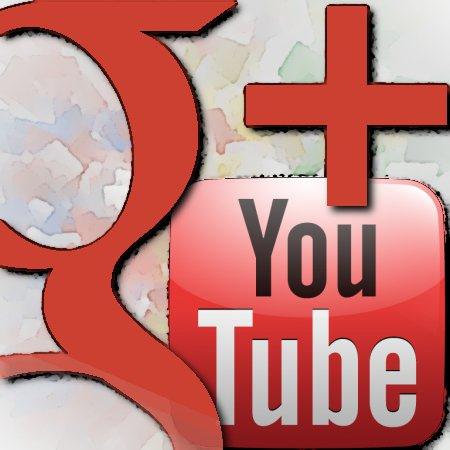 Another way that YouTube has moved into social networking territory is their recent decision to require a Google Plus account to post comments on the site. With interest in Google Plus recently dwindling, it’s likely that this partnership with Google was done in an attempt to increase usage of their floundering social network. However, it appears that the fickle users of YouTube are not particularly happy with the requirement of a Google Plus account to comment on videos. People on the Internet can often be resistant to change and it appears that petitions have already been created and tens of thousands of people have commented on a YouTube blog post announcing the change with angry complaints, obscenities, and demands to change the commenting system back to what it once was. Some don’t wish to have a Google Plus account at all, while others are reluctant towards having their real name posted on their YouTube comments. Either way, these changes appear to be here to stay, as YouTube is quite used to angry comments and they have made no movement towards pulling back from Google Plus support. Snapchat is reaching all-time highs in popularity at this time. According to Snapchat CEO Evan Spiegel, there are 400 million snaps shared a day, which exceed s the number of photos that are shared through both Facebook and Instagram, proving once and for all that Snapchat is here to stay and it’s huge. To compare, Snapchat was seeing 350 million snaps a day in September and 200 million a day in June, meaning that the social network is growing at a shocking rate. Needless to say, it’s no surprise that investment analysts are saying that Snapchat has a very long-lasting and lucrative future. The social network has more funding and a higher valuation than Instagram and even YouTube did when they were at Snapchat’s stage in their lifespan. It’s not too much of a shock that there have been rumblings of a $3 billion offer from Facebook hoping to purchase Snapchat. Many attribute Snapchat’s popularity to its lack of permanence, referring to the way snaps disappear after an allocated amount of time. 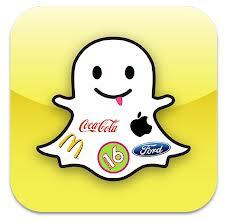 Facebook is not the only massive company that is interested in Snapchat, however. There are other rumors abound that Tencent, an enormous Chinese corporation involved in the biggest Chinese social networks, has already made a major investment in Snapchat. A partnership between the two companies is likely to be mutually beneficial, as it allows Snapchat to extend into Asia and Tencent to have their first American subsidiary. Another recent news update for Snapchat is the recent hire of Emily White, who was formerly the director of business operations for Instagram. She will now be working as the COO of Snapchat and it’s very possible that this may be a way that Snapchat will be moving forward with advertisements and monetization. Instagram itself revealed its new ads in October, leading some to believe that White’s hire may lead to a shift in the marketing of Snapchat as well.